What are the sources of probiotics for babies? When can babies have probiotics? How do probiotics work in babies? What are the benefits of probiotics for babies? Do probiotics have any side effects in babies? Can babies with lactose intolerance and milk allergy have probiotics? From a brief episode of a stomachache to constipation or diarrhea, babies often encounter a range of gastrointestinal problems. Several remedies aim at easing these problems, but one that stands out from the rest is probiotics. Probiotics are the “good” bacteria that rectify a malfunctioning digestive system. Probiotics are popular among adults, but can babies have them? Here, MomJunction answers this question and tells you more about probiotics for babies. Probiotics are live bacteria similar to those naturally found in our gut (1). Unlike infectious bacteria, probiotic bacteria are the “good” or “friendly” bacteria that restore the population of existing bacteria in the gut. Two genera of bacteria are categorized as probiotics, as they come from the genus Lactobacillus and Bifidobacterium. There are multiple species of bacteria in each genus, each with various strains. These probiotic bacteria can be found naturally in several foods and are also present in commercially sold probiotic products. Yogurt: 12 months. You can try introducing it around the age of nine months (3) (4). 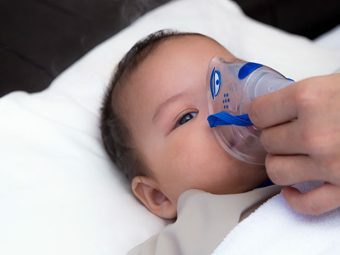 Probiotic drops, infant formula, and infant cereal: Probiotic drops and infant formula may be available for babies as young as three months old. However, it is best to consult the doctor before giving probiotics to infants below the age of six months. Infants older than six months can safely have probiotic infant cereal, formula, and drops. Fermented soy, milk, and vegetable products: Several traditionally fermented products contain strains of Lactobacillus and Bifidobacterium. Examples of milk-based fermented products are kefir and some types of cheese. Miso and tempeh are fermented soy delicacies that are a dairy-free source of probiotic. Kimchi and Sauerkraut are preparations made by fermenting vegetables with bacteria. Most cheeses and other fermented milk preparations can be safely introduced to babies at the age of 12 months. Fermented soy and vegetable preparations can also be given at 12 months, but since they contain high quantities of sodium, consult a pediatrician before trying them. 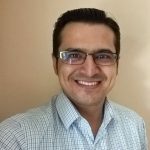 Topping up gut bacteria population: Sometimes infection or treatment with antibiotics may reduce the population of healthy intestinal bacteria. Probiotics help restore the good bacteria in the gut. Boosting existing gut bacteria population: Gastrointestinal infections and bacteria from food can increase the numbers of “bad” bacteria, which may overpower the good bacteria and reduce their population. Consuming probiotics can control the infection-causing bacteria and cut down their numbers. Different strains of Lactobacillus and Bifidobacterium bacteria offer distinct benefits (6). Decreased gas: Regular intake of probiotics can help reduce bloating and flatulence in an infant. Gas can be a reason for colic, so in a way, probiotics can prevent it. Reduction in diarrhea: Infection of the gut can result in loose stools. Probiotics can make the intestine more robust at fighting the infection, thus reducing diarrhea. Better digestion: The good bacteria of the gut also play a role in digesting food better. Probiotics can also stimulate the production of mucus inside the intestine, which can further boost digestion. 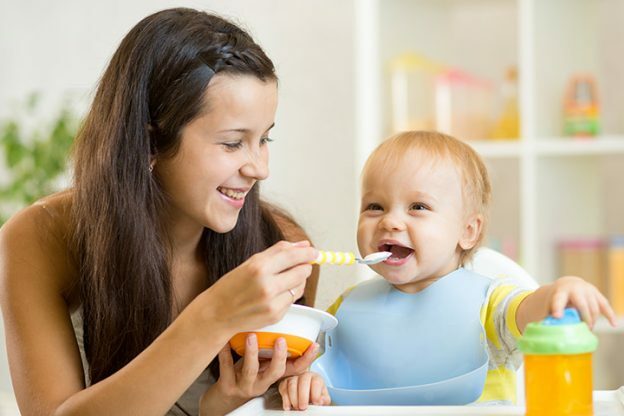 Babies eating solid food can particularly benefit from probiotics. Reduced chances of infection: Regular consumption of probiotics minimizes the chances of repetitive gut infection. Producing vitamins and improving immune functions: Intestinal bacteria can produce vitamin B for the body and improve intestinal immunity. Since probiotics help stimulate the population of these good bacteria, they indirectly play a role in vitamin synthesis and stronger immunity. Side effects of probiotics are mild and do not impact the baby’s health. Also, the symptoms mostly appear the first few times a baby has probiotics and disappear after a few days, with regular probiotic consumption. Lactose intolerance: Lactose intolerant babies may tolerate yogurt, especially if they can breastfeed. You must start with a minimal quantity of yogurt and look for symptoms like stomachache, bloating, and gas. If you sense the baby is tolerating yogurt well, then you can slowly increase the quantity. Give yogurt mixed with food items like cereal or fruits during meal times. Milk allergy: A baby with a milk allergy is unable to digest only cow’s milk, but can have breast milk. Therefore, babies with a milk allergy should avoid all milk products including yogurt. Next, we address a few commonly asked questions about probiotics for babies. 1. How to give a probiotic supplement to an infant? Probiotic drops can be given directly or mixed with water. Avoid adding them to warm food, milk, or formula. Probiotic powder can be added to milk or food before serving. Remember, to read the manufacturer’s instructions about serving before giving the probiotic to the baby. 2. Do probiotics help infants with reflux? There is insufficient research to suggest that the babies with acid reflux and gastrointestinal reflux disease (GERD) can benefit from probiotics (9). 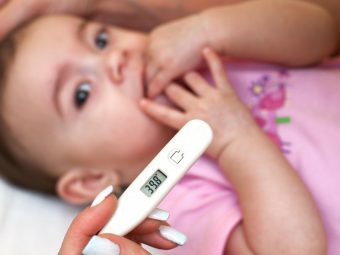 You can consult a pediatrician and offer probiotics to observe if it improves the infant’s condition. 3. Can probiotics ease constipation in infants? Yes. There is some evidence that probiotics can ease constipation (10). However, it may not be the precise cure, and the results could vary as per the case. 4. Can probiotics help cure thrush in babies? Probably. A study found that when combined with prebiotics, probiotics can provide relief from oral thrush in babies and also reduce its rate of recurrence (11). You can also try using only probiotics if the baby has thrush. The probiotic should be used topically, meaning it has to be applied at the site of thrush (candidiasis) infection. You can feed probiotic in the case of oral thrush, but it could be difficult to administer probiotic in case of diaper thrush. 5. Do babies born with C-section require probiotics? Not necessarily. Natural delivery through the birth canal allows the infant to be covered in maternal bacterial flora. The bacteria eventually find their way into the baby’s gut where they support the digestive system. C-section infants can miss out on the bacteria and instead may pick up bacteria from the environment. During a C-section, a mother may also be on an antibiotic dosage to contain the infection in the incision. Antibiotics can pass into the baby’s body and affect the baby’s gut microflora. Nevertheless, C-section babies develop probiotic bacteria on their own. (12). 6. 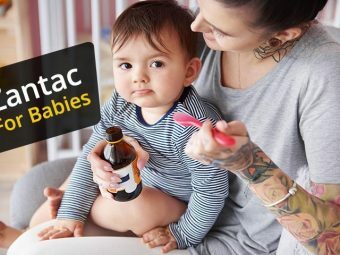 Does my baby need probiotics when having antibiotics? Yes, probiotics are beneficial for babies on antibiotics. Antibiotics not only deplete the harmful bacteria but also bring down the numbers of good bacteria. Infants on an antibiotic course may also develop diarrhea as a side effect. Giving probiotics is an excellent way to restore good gut bacteria and cut down the side effects of the antibiotics (13). 7. Can probiotics help prevent eczema in babies? There is limited research on the matter. Some experts state that probiotics may help prevent eczema (atopic dermatitis) and other allergies only up to the age of two years. Established and existing allergies cannot be reversed with the use of probiotics. A breastfeeding mother may also have to consume adequate probiotics to ensure that she passes good bacteria to the baby through breast milk. You can consider using probiotics if the baby has eczema, but do not entirely rely on them to cure or ease the symptoms (14) (15). When introducing probiotics to an infant, make sure you start with small quantities. Once your baby accepts it well, then make it a part of the regular diet. If your baby instantaneously loves probiotics, like yogurt, then it is a win-win for you and the baby! Have you given probiotics to your baby? Share your experiences in the comments section.